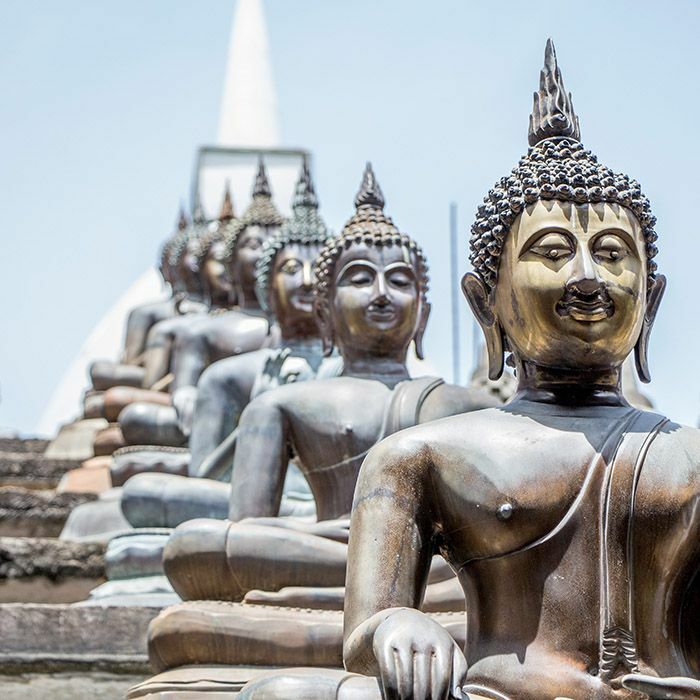 During this spiritual voyage you will trace the beginnings of Buddhism in Sri Lanka. Travel to the heart of the island, its Cultural Triangle, to discover the rich historical and cultural past by way of many exceptional archeological sites. Enjoy a rare occasion to practice meditation with a Buddhist monk amid the luxurious nature of the Knuckles Mountain Range. Indulge in rejuvenating sessions of traditional massage and yoga therapy, while staying in some of the country’s leading Ayurvedic hotels: between nature and the sea. 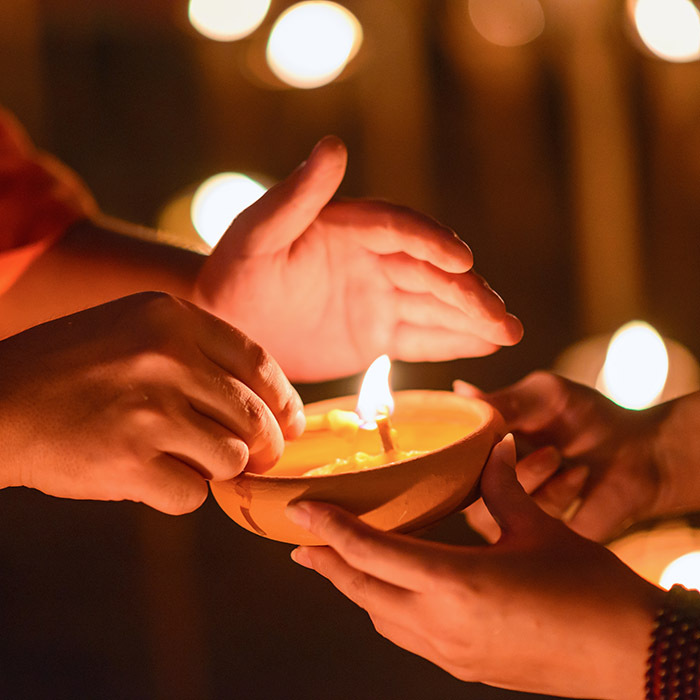 Find yourself transformed by the nurturing environment of this tropical island, with a better balance between mind and body, and a greater knowledge of the Buddhist philosophy. You arrive at Bandaranaike Airport, where your driver welcomes you. 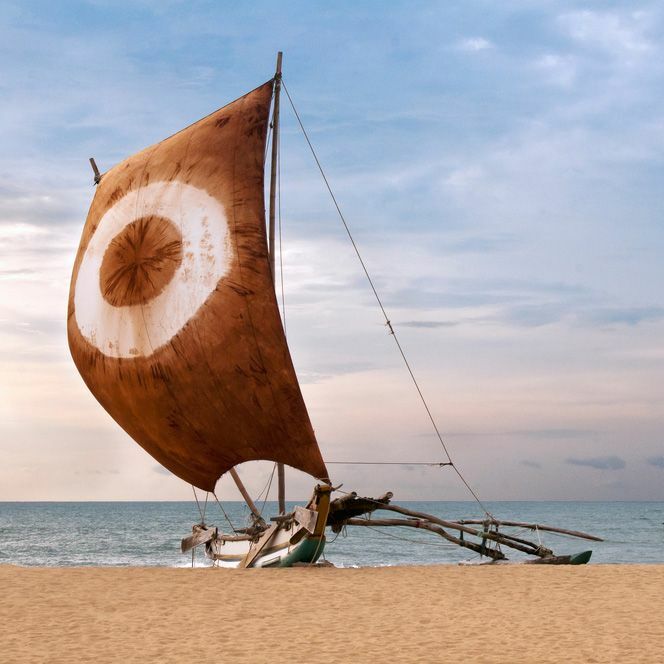 You are greeted by the tropical air of this magical island, and for your first destination you drive to Negombo, a beautiful beach town, nicknamed “Little Rome”, close to the airport and therefore ideal to recover from your long flight. Settle into your hotel which we will reserve for the night of your arrival. You can go for a walk around the town, you can see beautiful colonial churches, but also fish and vegetable markets. Dinner at leisure. After breakfast, road to the cultural triangle and its most northern city Anuradhapura, Sri Lanka’s first capital. You can see ancient ruins of the royal palace. Many of the Buddhist temples here are still active, so you can have a lively insight into the philosophy. Before sunset, visit Mihintale, the place where Buddhism originated in 257 BC. It is only 8 km away from Anuradhapura. The pilgrimage site inherits several religious monuments and abandoned structures and is located 300m atop of a rock, offering a scenic outlook. Dinner at leisure. In the morning, visit the site of the sacred tree Sri Maha Bodhi and walk around the grand Dagoba to witness the locals practicing their faith. The visit of Anuradhapura can include all the royal ruins which surround the territory of about 50km2 and it requires a good half-day. 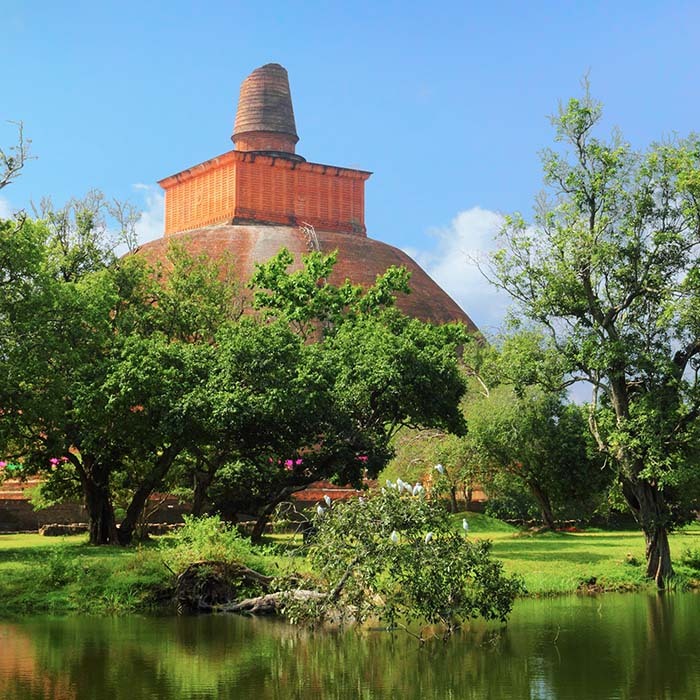 The site comprises a rich collection of architectural and archaeological wonders: enormous, sky-high brick Dagobas, ancient pools and crumbling temples, built during Anuradhapura’s thousand-year of rule over Sri Lanka. 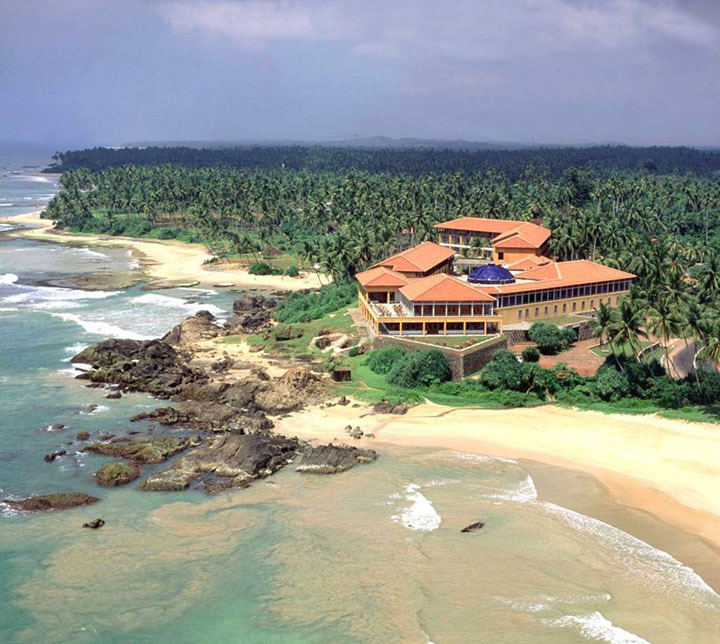 In the afternoon, go to the discovery of Ritigala Natural Reserve , home to an ancient forest monastery. 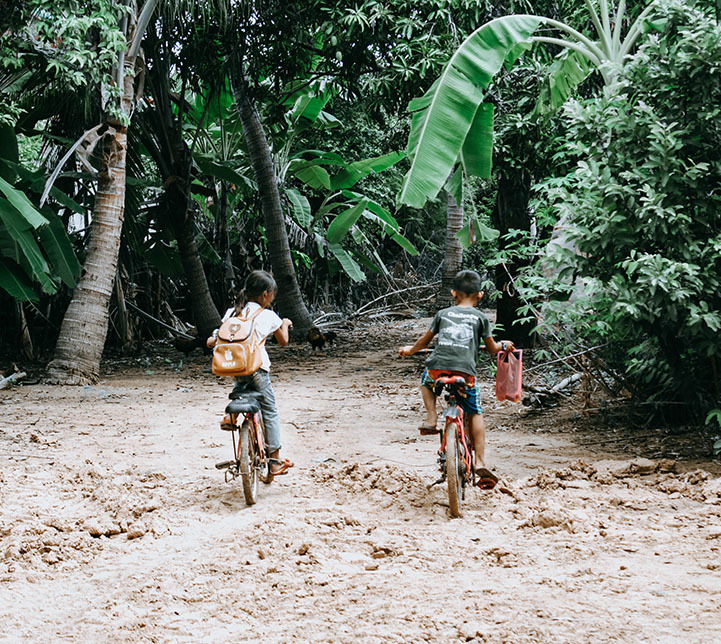 You can go on a guided tour with a forestry naturalist around this green haven still serving as a main collection site for the natural plant remedies used in traditional Ayurvedic medicine. This reserve also happens to be the filming location for one of the famous Indiana Jones movie. 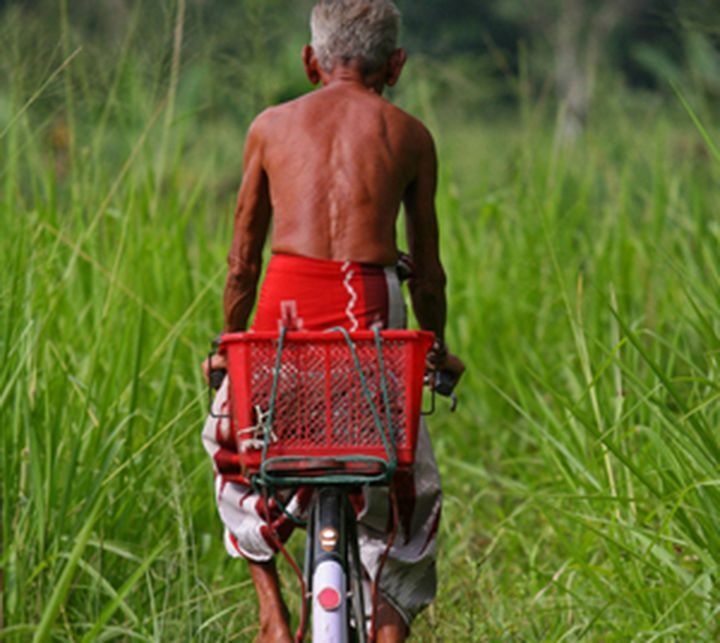 Continue to Habarana, and check into one of the premier Ayurvedic treatment centers in the country. Dinner at leisure. Wellness days with your hotel specializing in Ayurvedic treatments. Here, you can enjoy full-body massage, steam bath, cures and therapies prescribed by an Ayurvedic physician. After the establishment of your prakriti (current state of health), you will be prescribed a treatment program in accordance with your dosha (initial body constitution). Also, you can take yoga and meditation sessions at the hotel (therapy sessions not included). In the afternoon, go on an exciting jeep safari in Minneriya National Park. The park is known for its large elephant population, counting approximately 400 pachyderms. You can see other wild animals as well: crocodiles, buffalos, deer, varans, cormorans, pelicans and a multitude of birds. The park is equally interesting for its landscapes, amid the wetlands, lakes and mountains rising in the background. Free dinner. Early in the morning, to avoid the long lines, explore the legendary Sigiriya rock fortress, an ancient royal abode built into solid rock. 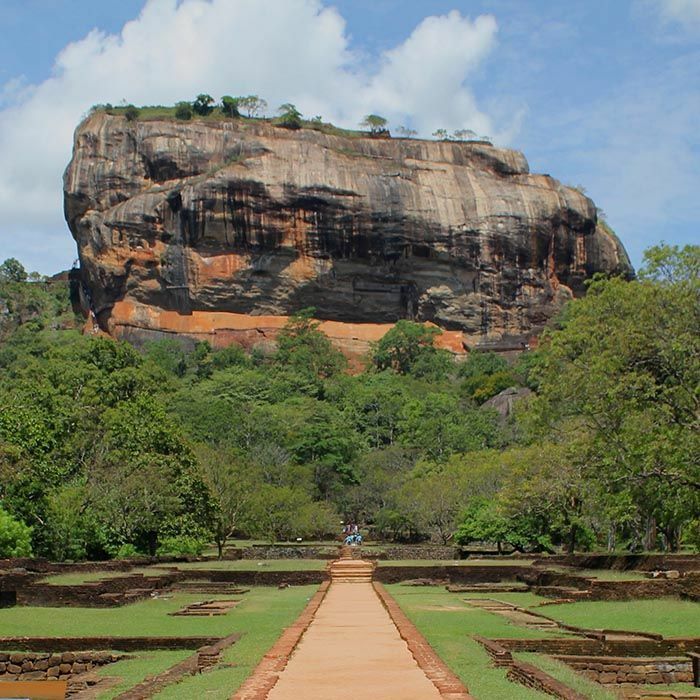 Sigiriya is the most visited site in Sri Lanka and is a UNESCO World Heritage Site. 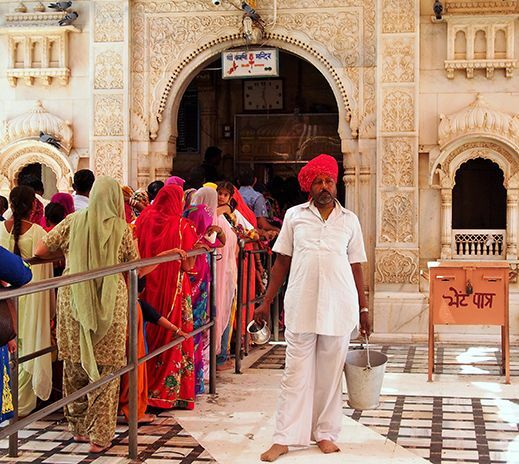 This incredible structure was built by a 10th century king. Enjoy the magnificent frescoes, gardens with natural caves and the ruins of the royal palace on top of the rock. Then, return to your hotel, for your wellness program. This eco-friendly treatment center is an ideal location to enjoy proximity to nature as well as traditional wellness practices that have been active in Sri Lanka since its early days. Dinner at leisure. Road to the mountains. 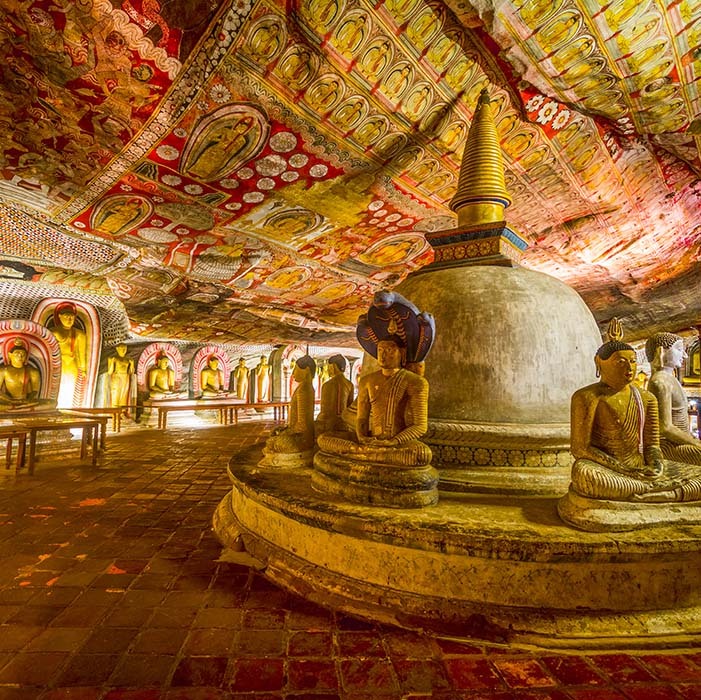 Along the way visit Dambulla, a UNESCO World Heritage Site, and explore the captivating Buddhist Cave Temples, a monastery built within a system of five caves housing incredible murals of the Buddha. Climb on top for a breathtaking view of the surrounding area. Then, you can make a quick stop at the Dambulla wholesale market, one of the largest in the country. Here you can see a large variety of lesser known fruit and vegetables as they arrive from the farms and before they are distributed to the individual sellers. 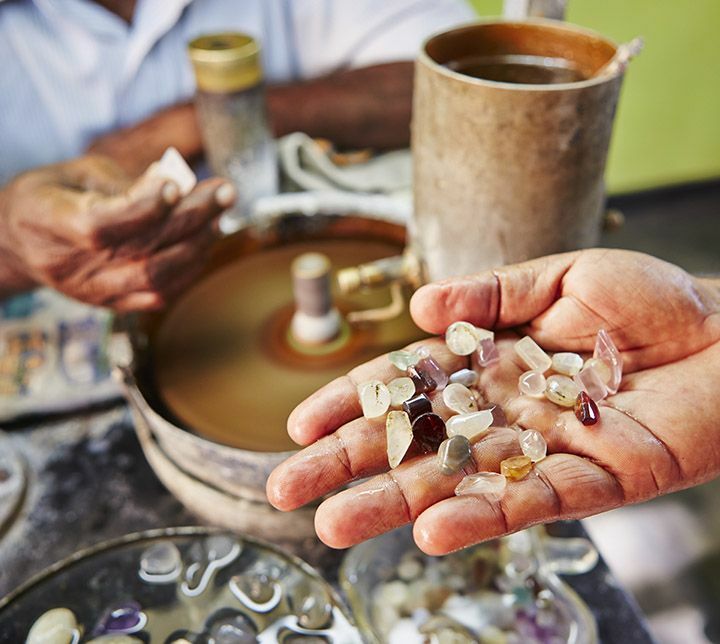 After lunch, stop by a spice garden in Matale to learn about the Ayurvedic and cosmetic use of Sri Lanka’s many spices. As an option, attend a cooking class to see how the famous Sri Lankan rice and curry meal is prepared. You can opt for having lunch here (cooking class and lunch not included). 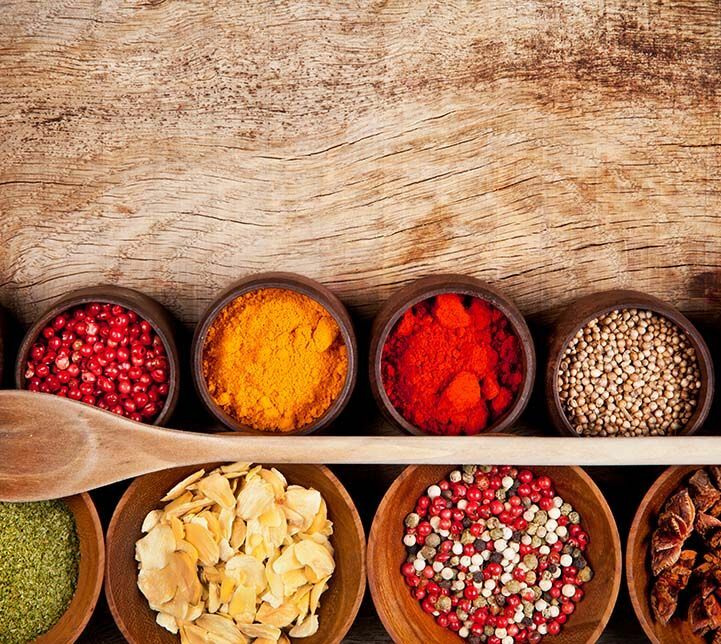 Walk along a small trail in the spice garden and explore, touch, and smell the Sri Lankan spices and herbs which are used for the tasty curries. Continue to Kandy, and check into your hotel situated outside of the city on charming property in the mountains located within a former tea estate, and offers a calm setting with splendid views of the surrounding nature. Dinner at leisure. Enjoy a relaxing day with one of the premier wellness centers in the country. You can walk to a beautiful waterfall on the property, or take a dip in the river running at the base of the estate. You will feel the serenity of this unique place, tastefully decorated with many antique objects. 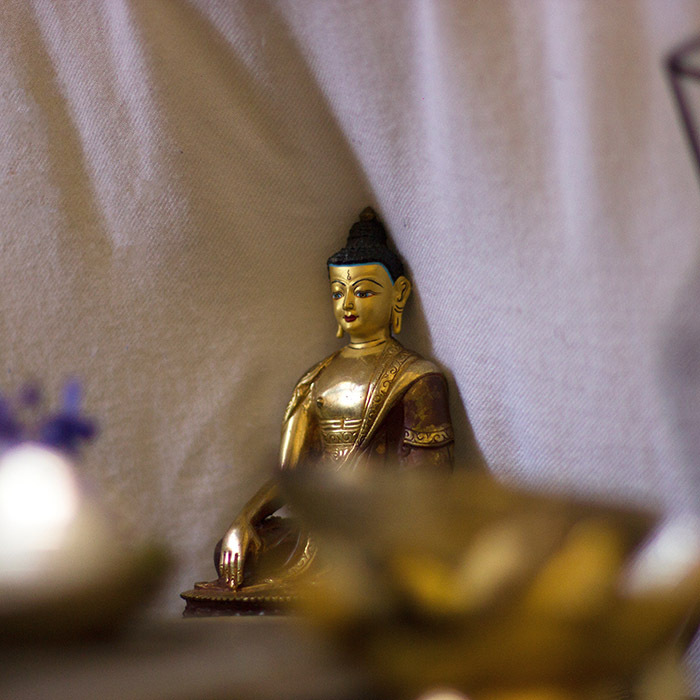 Partake in an individual or a group meditation session with a Buddhist monk. 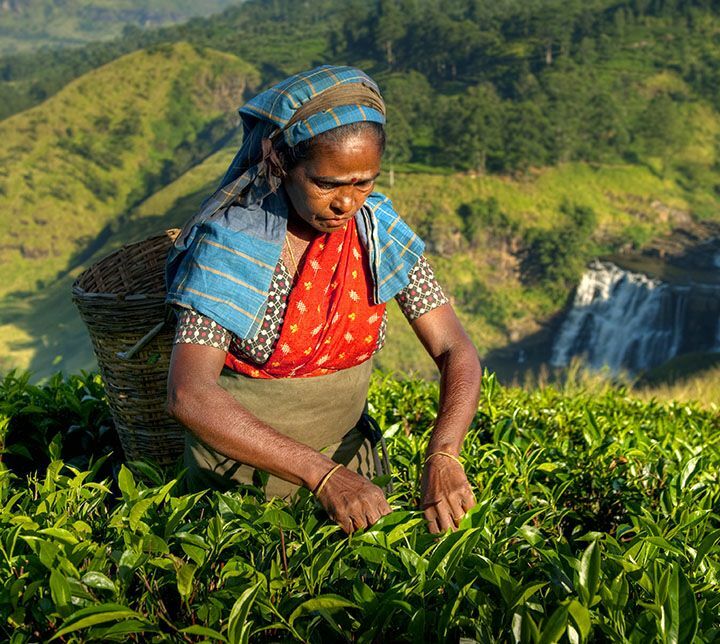 Enjoy spectacular views of the surrounding tea plantations on the way to the monk’s refuge, located at the foot of a beautiful mountain in the Knuckles Range. 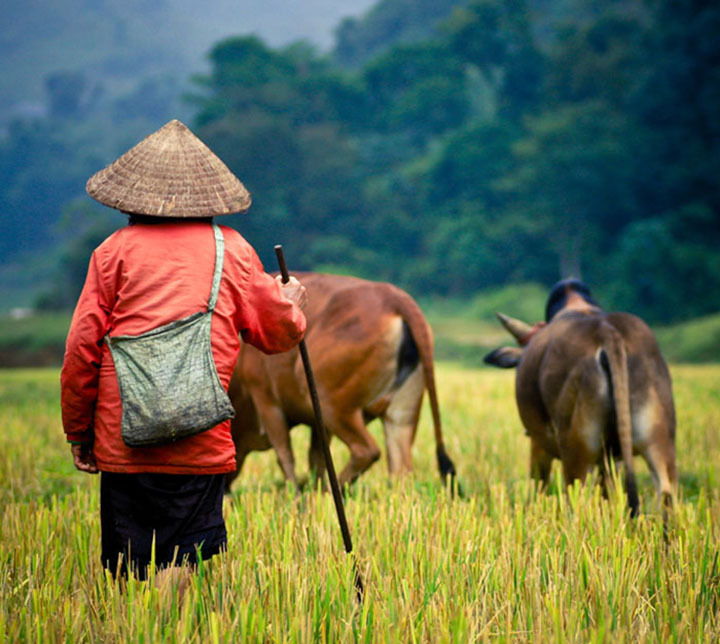 Hike the winding paths often taken by the tea estate workers until you reach the monk’s abode. Surrounded by trees and a beautiful orchid garden, this is a perfect setting to explore the Buddhist teachings. Dinner at leisure. In the morning, you can go on to Kandy for a city tour, including Upper Lake Drive, Market Square and a Gem Museum. Afterwards, visit the Temple of the Tooth Relic. It is located in the royal palace complex which houses the Relic of the tooth of Buddha. Since =ancient times, the relic has played an important role in local politics because it is believed that whoever holds the relic holds the governance of the country. 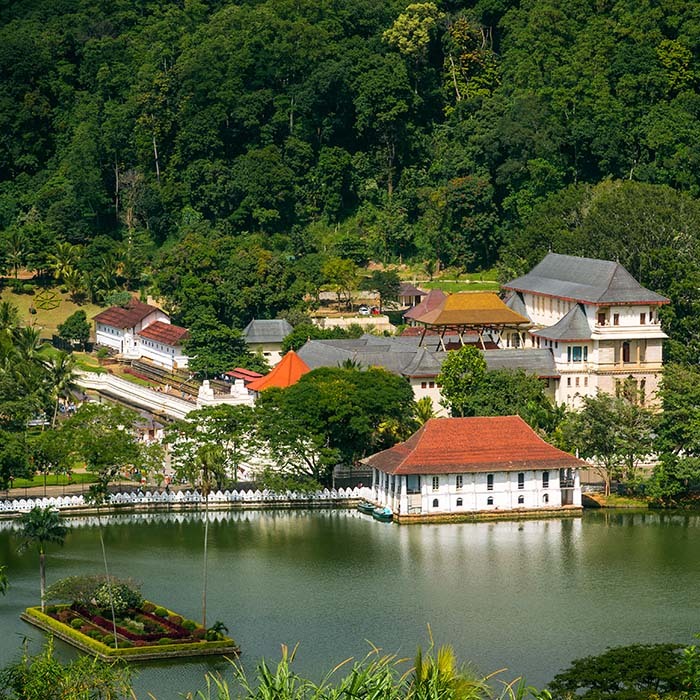 Kandy was the last capital of the Sinhalese kings and is a UNESCO world heritage site partly due to the temple. 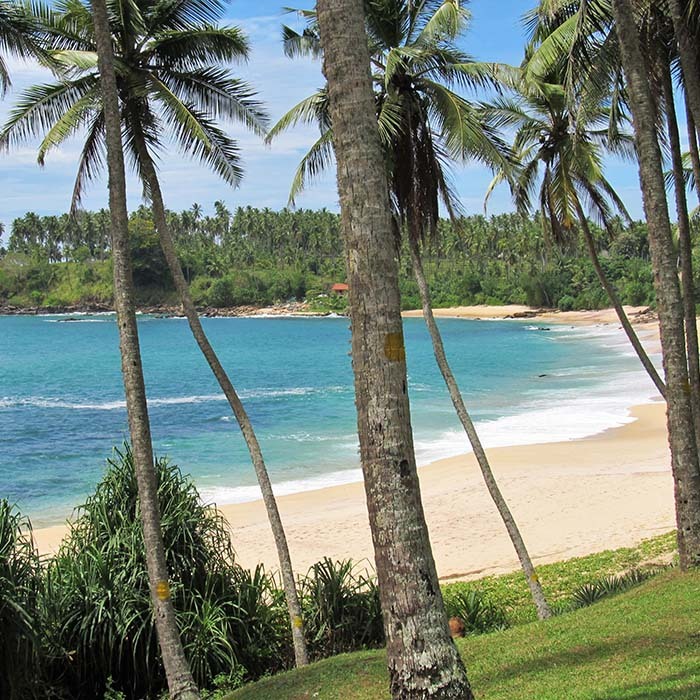 In the afternoon, continue to Hikkaduwa and enjoy the wellness program proposed by your hotel on the South-Western Coast of Sri Lanka. Dinner at leisure. Wellness days by the sea with a hotel situated on the beach. Here you can choose from Ayurvedic cure programs, yoga or spa services which include full body massage, vapor baths, and other therapeutic sessions prescribed by the Ayurvedic doctor. Dinner at leisure. You can explore the beautiful coastline, do some snorkeling or go see giant turtles on the beach. Swim or simply relax under the sun, and don’t forget to taste fresh seafood with one of the local beach restaurants. Dinner at leisure. 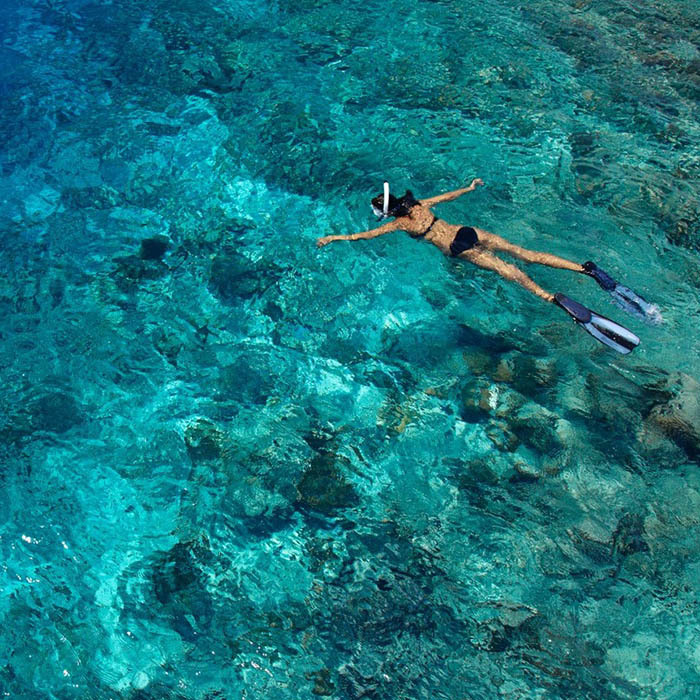 Take another morning dip in the Indian Ocean. Later leave to Colombo. En route visit the Galle Face Green and enjoy the sunset, the popular meeting place for families and lovers. Enjoy the street food before joining your accommodation. Dinner at leisure. Depending on the available time, you can go for a city tour of Colombo, Sri Lanka’s main metropolis bustling with lots of activity. 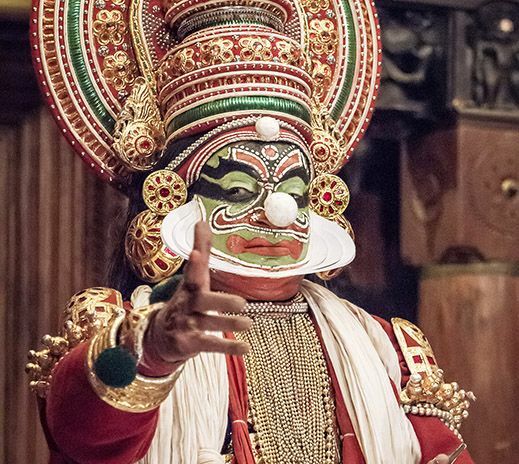 As a suggestion, you can visit the Dutch fort and museum, discover the busy Pettah neighborhood, its markets and the mosque, as well as City Hall’s colonial-era architecture. It’s here that you can take advantage of some last-minute shopping in charming boutiques and even stop by to meet your local travel agent!